500 block of Brower Road, Lima — A domestic violence incident was investigated Sunday. 1500 block of Harding Highway, Lima — Police responded Sunday to a hit-skip traffic accident. 1400 block of East Elm Street, Lima — A report of the destruction of property was investigated Sunday. 700 block of East Kibby Street, Lima — Police responded Sunday to a domestic violence incident in progress. 1900 block of North West Street, Lima — A fight in progress was investigated Sunday. North Metcalf Street at West Grand Avenue, Lima — A domestic violence incident was investigated Sunday. East North Street at North Central Avenue, Lima — A traffic accident with injury was investigated Sunday. 600 block of South West Street, Lima — Police responded Sunday evening to a fight in progress. 1900 block of North West Street, Lima — An assault was reported to police Sunday evening. 100 block of East Eureka Street, Lima — A domestic violence incident was investigated Sunday night. 700 block of North McDonel Street, Lima — Police investigated a hit—skip traffic accident on Monday. 200 block of West Murphy Street, Lima — A hit-skip traffic accident was investigated Monday. 400 block of McPheron Avenue, Lima — The report of an assault was investigated Monday. 700 block of East Franklin Street, Lima — Police responded Monday to the report of a prowler. 200 block of East Wayne Street, Lima — A theft report was received by police Tuesday. 500 block of Brower Road, Lima — A report of the destruction of property was investigated Tuesday. 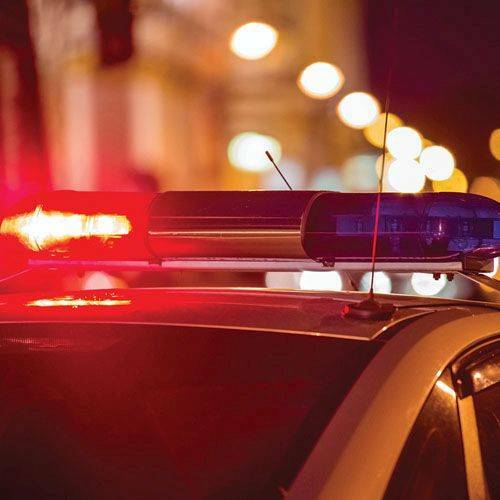 Dingledine Avenue at Harrison Avenue, Lima — Police responded Tuesday to the report of a dog bite; the animal remained at large. 700 block of West North Street, Lima — A traffic accident resulting in property damage was investigated Tuesday. 100 block of East Market Street, Lima — Police responded Tuesday to the report of a domestic violence incident. 1100 block of North Elizabeth Street, Lima — A theft report was investigated Tuesday. 1100 block of East Kibby Street, Lima — Police responded Tuesday to the report of a theft. 2300 block of North Cole Street, Lima — A theft complaint was investigated Tuesday. 500 block of Hope Street, Lima — Police responded Tuesday to a barking dog complaint. Gloria Avenue at Wyngate Court, Lima — A traffic accident with injury was investigated Tuesday. 2400 block of Mandolin Drive, Lima — A theft report was received Tuesday. 1100 block of St. Johns Avenue, Lima — A traffic accident resulting in property damage was investigated Tuesday. 50 Town Square, Lima — A theft was investigated Tuesday. 1000 block of Brice Avenue, Lima — Police investigated a theft report early Wednesday. East Kibby Street at Harrison Avenue, Lima — A traffic accident resulting in property damage was investigated Wednesday morning. 2100 block of Aspen Drive, Lima — A subject was found on Sunday to be in possession of Schedule II drugs. Jameson Avenue at Elm Street, Lima — During a traffic stop on Sunday, deputies found two two subjects, including one juvenile, to be in possession of firearms. South Roberts Street at Bellefontaine Avenue, Lima — Subjects were found Friday to be in possession of firearms and ammunition in a motor vehicle. 1900 block of East Eureka Street, Lima — A victim told deputies on Friday that he had been threatened. 2400 block of Allentown Road, Lima — A subject told deputies an unknown person had removed money from his wallet. 2200 block of Chevy Chase Boulevard, Lima — A female reported to deputies on Tuesday that she had been assaulted. 3700 block of Mt. Vernon Place, Lima — An individual told deputies money had been stolen from their wallet.